On Ash Wednesday, Caritas Australia, the international aid and development agency of the Catholic Church, launches its annual Project Compassion appeal – one of Australia’s largest humanitarian fundraising and awareness raising campaigns. Project Compassion runs through the six weeks of Lent. It brings together communities across the country in solidarity with the world’s poor to eradicate poverty and help build a world of hope. Money raised through Project Compassion goes towards Caritas Australia’s humanitarian and long-term development programs in countries across Africa, Asia, the Pacific and Australia’s First Peoples. In 2018, more than $10.8 million was donated to Project Compassion. 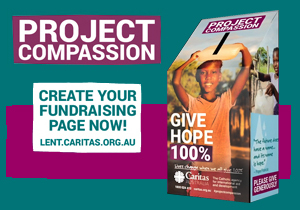 Project Compassion is Caritas Australia’s annual Lenten fundraising and awareness-raising appeal. Millions of Australians come together in solidarity with the world’s poor to help end poverty, promote justice and uphold dignity. Each week of Lent, we profile another person who always gives 100%. Click on the photo below to find out how your donations change lives. Fundraising together is a great way to build community and show solidarity with people around the world. Click on the links below for some fundraising ideas. Lives change when we all give 100%. How will your community get involved? Run, walk, cycle or swim. Exercise is a great way to fundraise together and ask for support. 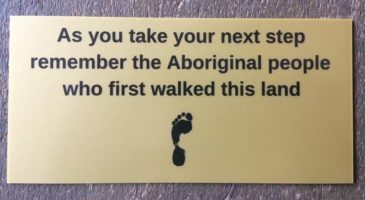 You could even “walk for water” to build in learning. Pancake Tuesday, Fish Friday, a Global Reality meal or just going without for Lent. Food is a great way to get people together and fundraise. Set up a fundraising page in two simple steps. This is the easiest way to get others to support your efforts and see your total as you go. Join Project Compassion this Lent to help end poverty and transform lives. This Lent, your support can deliver emergency and humanitarian aid to people living in poverty around the world. Project Compassion is the annual Lenten appeal of Caritas Australia, with the focus in 2018 to empower young people to lead their communities to a better, just future. Stand in solidarity with young people living in poverty by giving alms to create real change. Show your faith, love and generosity this Lent by making a tax-deductible donation today. You’ll receive a tax-deductible receipt to claim your donation in this financial year. $65 can help a young person who is deaf to learn sign language in Cambodia so they can communicate with their family and community. $120 can buy a goat so a young person can learn goat raising to earn an income in Nepal. $350 can provide one year’s remedial tutoring for a young refugee who has missed school due to the conflict in Syria, so they can catch up on their education. $500 can support a group of 25 women to run an income-generating project in the Philippines, giving them independence and security. $1,150 can provide a skills-building workshop for artists, with Elders passing on traditional cultural knowledge to the younger generation in Australia. 12-year-old Bayan grew up in Syria’s capital, Damascus. The Syrian conflict forced her family to flee to Jordan as refugees. Living in poverty in Jordan, Bayan faced the prospect of missing out on her education. But Caritas Australia and our partners were thankfully able to help when she started attending a Caritas School, which provides tuition, trauma counselling, a stable environment and nutritious food. Now, Bayan’s confidence is being restored and she is excelling at school, pursuing her dream of becoming a doctor. Caritas Australia is the international aid and development organisation of the Catholic Church in Australia. We are a member of the Fundraising Institute of Australia and the Australian Council for International Development (ACFID). We are endorsed by the Australian Taxation Office as a Deductible Gift Recipient (ABN 90 970 605 069) with charity status. Donations of $2 or more are tax deductible.